Looking to win more and get a bit more enjoyment from your poker in 2014? Here are five new year resolutions that may help. This maxim applies to many areas of life. Driving, social media and especially online poker. You're not going to kill anyone by taking a shot in a cash game bigger than your bankroll can survive but playing after a night on the sauce is a sure fire way to set fire to your cash. We know it's tempting, you've got back from the pub, watched a crazy Scandie run bluff after bluff on an EPT or WPT show and think it can't be that difficult. Well it is. You might fancy yourself as a decent footballer but you can't just put your boots on and have a kick about with Wayne Rooney, Mesut Ozil or Luis Suarez. One of the beauties of poker is that you pay your money and you could be sitting next to a legend of the game. Here in the UK, we're spoilt for choice for decent live events with a tournament from the GUKPT, UKIPT, Genting Poker Series and Sky Poker Tour taking place pretty much every weekend. Further afield there's the EPT, Estrellas Poker Tour in Spain, Unibet Open, WPTs etc All of them offer plenty of satellite opportunities so there's no need to bust your bankroll taking a shot. If you do manage to qualify for a biggie and find yourself next to a Jake Cody or Sam Trickett at worst you'll have a great tale to tell your mates in your pub game. At best you've got a shot at winning some serious cash. For starters, try Bluff Europe's own satellites into the Winamax Poker Open Dublin where €1,000 packages can be won from an investment of just €2. What are you waiting for? Enjoyment is usually the first priority for a recreational poker player. Plenty of table chat, joking and laughter make for great game. Winning a bit of cash of course makes a game even more enjoyable of course. With that in mind, it pays to do a bit of study. We're not suggesting diving into The Mathematics of Poker or anything as weighty as that. There are plenty of articles and videos available for free to help you on your way though. They probably won't make you a world beater but they should help you avoid the more obvious pitfalls. If you only knew about poker from watching the telly you'd think that Texas hold'em was the only game in town. 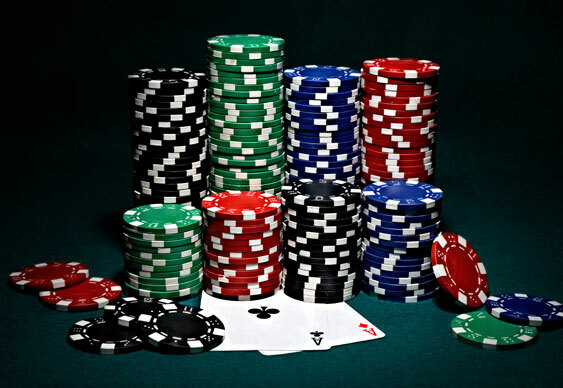 It's widely acknowledged that hold'em games are tougher than ever so why not spread your wings and try something new. PLO, stud, razz, badugi, Courcheval, even the crack cocaine of poker Open Face Chinese. If nothing else a bit of dealer's choice will revitalise a flagging home game. As a reader of Bluff Europe we're assuming that you have the manners of Noel Coward when at the poker table. Every pub game has at least one boorish idiot who thinks he's the trash talking lovechild of Tony G and Phil Hellmuth. Don't let that idiot be you. On the odd occasion that you're really tired, drunk or massively on tilt after being rivered for your all of your stack by a ridiculous one outer stop and count to ten. Don't call out other players for their idiotic calls, be respectful to the dealer (it's not their fault), leave slowrolls to James Bond and generally play nice at the table. Everyone benefits and you can enjoy a nice healthy glow inside.